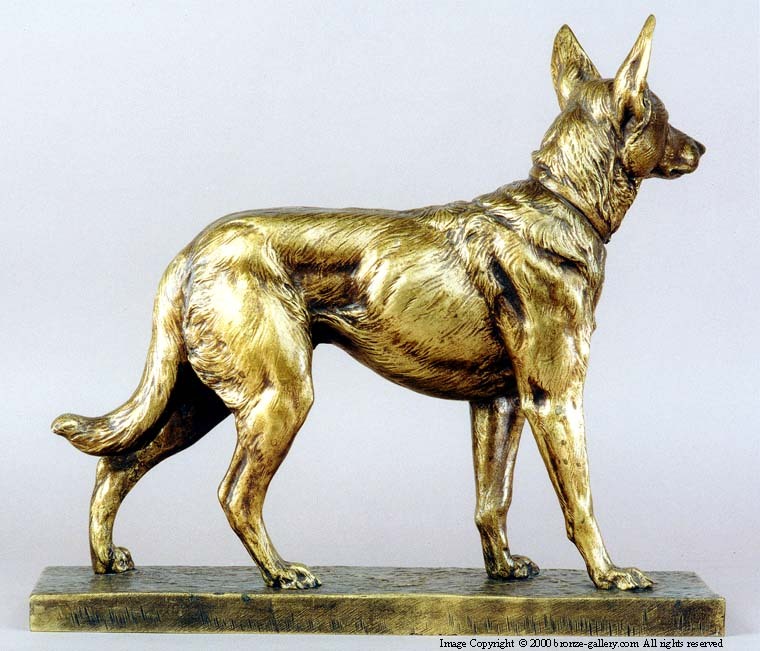 German Shepherd Dogs or Alsatians were very popular at the turn of the century and many artists portrayed this breed in paintings and bronzes. Geraldine Rockefeller Dodge loved the breed and her kennel was well known for their fine German Shepherds, she also had many Shepherds in her huge art collection. 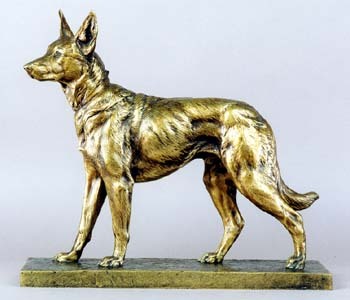 This sculpture of a German Shepherd by Paillet was awarded the Gold Medal when it was exhibited and this bronze has the Gold Medal award seal impressed into the base. It is extremely finely detailed and finished in a gold dore patina similar to that of the exhibition sculpture. A large impressive bronze that would be enjoyed by any dog lover and a special piece for a GSD person.